This groundbreaking picture-led celebration of the work of over 100 named British artists, and a few more anonymous ones, reveals a wealth of women’s wit and insight spanning 250 years. 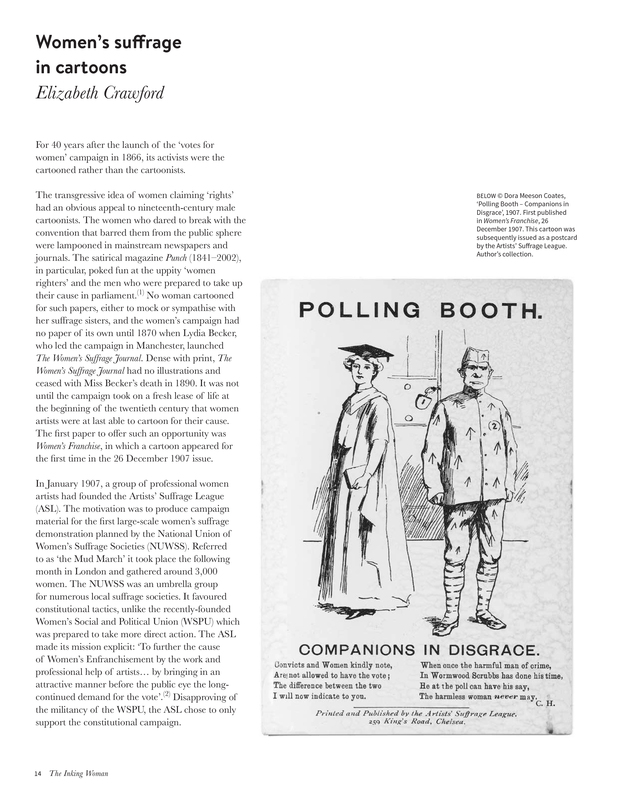 Based on an exhibition of the same name, held at the Cartoon Museum in 2017, this book edited by Nicola Streeten and Cath Tate demonstrates that women have always had a wicked sense of humour and a perceptive view of the world. For many years, the world of cartoons and comics was seen as a male preserve. The reality is that women have been drawing and publishing cartoons for longer than most people realise. In the early 1760s, Mary Darly illustrated, wrote and published the first book on caricature drawing published in England, A Book of Caricaturas. In the nineteenth century, Britain’s first comic character, Ally Sloper, was developed by the actress and cartoonist Marie Duval (1847–1890). Cartoons were used by the suffragettes, and, during the Great War, artists such as Flora White and Agnes Richardson produced light-hearted propaganda comic postcards. From the 1920s, a few women cartoonists began to appear regularly in newspapers. The practice was for artists to sign with their surname, so most readers were unaware of the cartoonist’s gender. In 1920, Mary Tourtel created Rupert Bear for the Daily Express, and nearly a hundred years later her character is still going strong. From the 1960s, feminism inspired cartoonists to question the roles assigned to them and address subjects such as patriarchy, equal rights, sexuality and child rearing, previously unseen in cartoons. 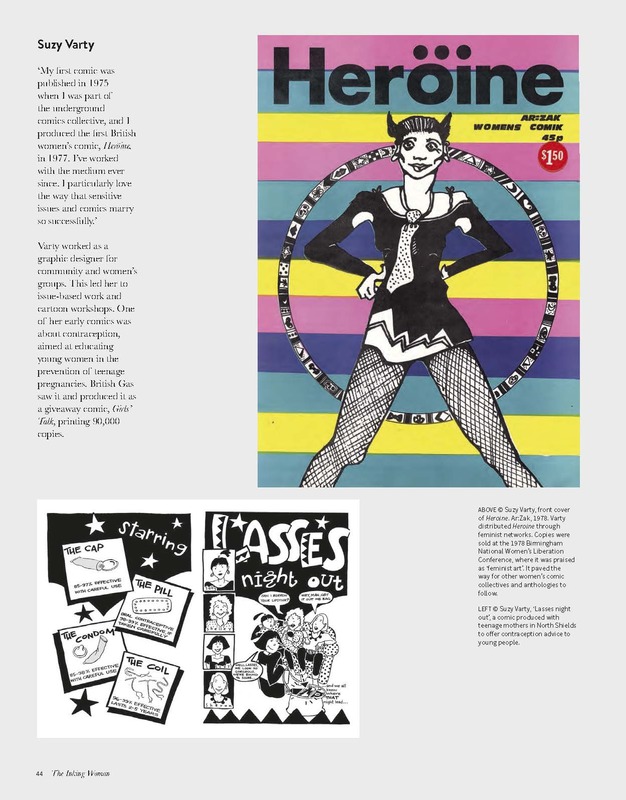 Over the last thirty years, women have come increasingly to the fore in comics, zines and particularly graphic novels. 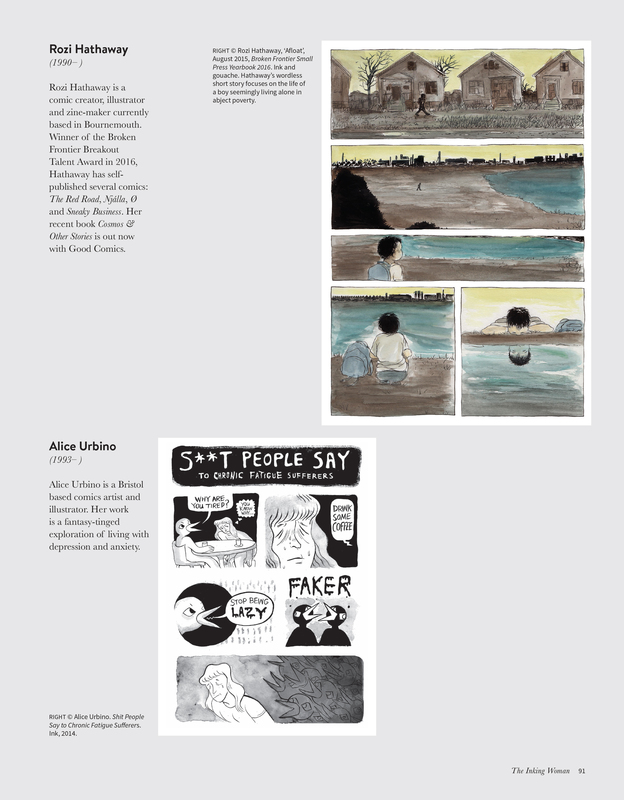 This wide-ranging curation of women’s comics work includes prints, caricatures, joke, editorial and strip cartoons, postcards, comics, zines, graphic novels and digital comics, covering all genres and topics. It addresses inclusion of art by women of underrepresented backgrounds. Both the exhibition and book have been made possible by the generosity of Cath Tate Cards. This is a reference work that should be read by anyone with an interest in UK comics and cartooning. It’s also often very funny, a celebration of some creators that will already be familiar to you and a good pointer to others whose work will be new to you. As well as an excellent book to own, the gift-giving possibilities for the right wing misogynist in your family must not be underestimated. 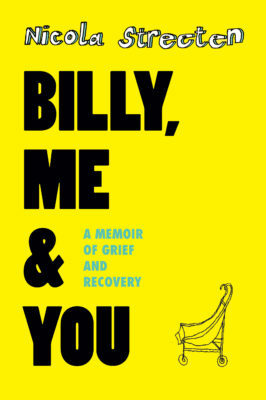 This is a fine and important work, documenting a substantial and sustained body of excellent cartooning of all forms. There can be very few people who would be familiar with all the creators included, and this strong selection will point readers towards much to enjoy. A monumental achievement… a deserved doffing of the cap to Nicola Streeten and Cath Tate for pulling it altogether. A compelling case for you to go away and discover more about any cartoonist that intrigues you. This book celebrates the named work of over 100 British Artists, plus a few anonymous ones, and reveals a wealth of comic work spanning 250 years. Now that’s what we call a history lesson. If there's a volume missing from the annals of British humour, it certainly is the volume The Inking Woman… The enclycopedic format has the benefit of each new page offering the unexpected and Marcia Mihotich's delightful design has clarity and elegance. It's an instructive and hugely entertaining work – hats off to Nicola Streeten and Cath Tate. 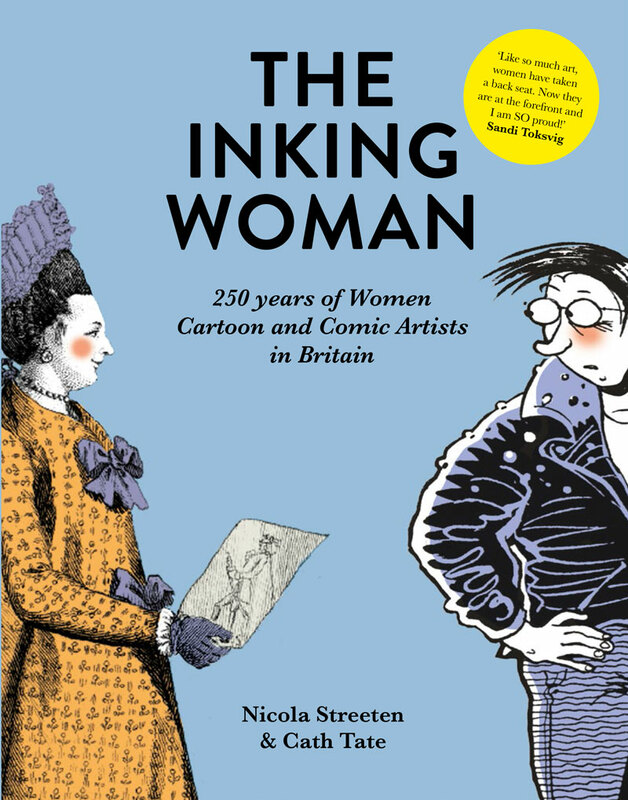 At last, we have a genuine, comprehensive account of the women who made—and who are making—comics history here in the UK… The Inking Woman offers an exhaustive and essential introduction to some of the most important figures. And for those who are looking to read comics by women for the first time, it’s a reminder that, arguably, the best graphic novels to come out of the UK in recent years have all been made by women. 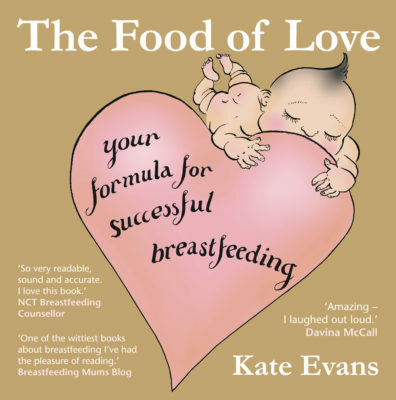 Embracing, engaging, lavishly illustrated, clearly and cleverly structured with a commendable sense of context. This is a wonderfully warm look at an important part of British comics history. I’d like to think that somewhere there is a teenage girl who will read Inking Woman and it will inspire her, to let her know she can create her own comics works too, and perhaps in a decade she’ll be citing Nicola and Cath’s work here as one of the starting points that got her going. Indispensable and obligatory, The Inking Woman is an absolute triumph on every level. Women are often asked ‘Why are there no women…painters? brain surgeons?’ Fill in the blank! Scratch the surface and you will find outstanding examples. 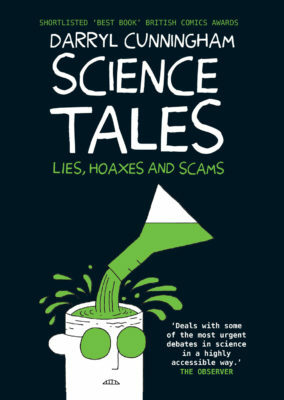 The answer for cartoonists is in this seriously funny collection. The successful Inking Woman exhibition held at the Cartoon Museum during 2017 has been splendidly transposed into a hardback book, and I have to say it’s rather excellent. 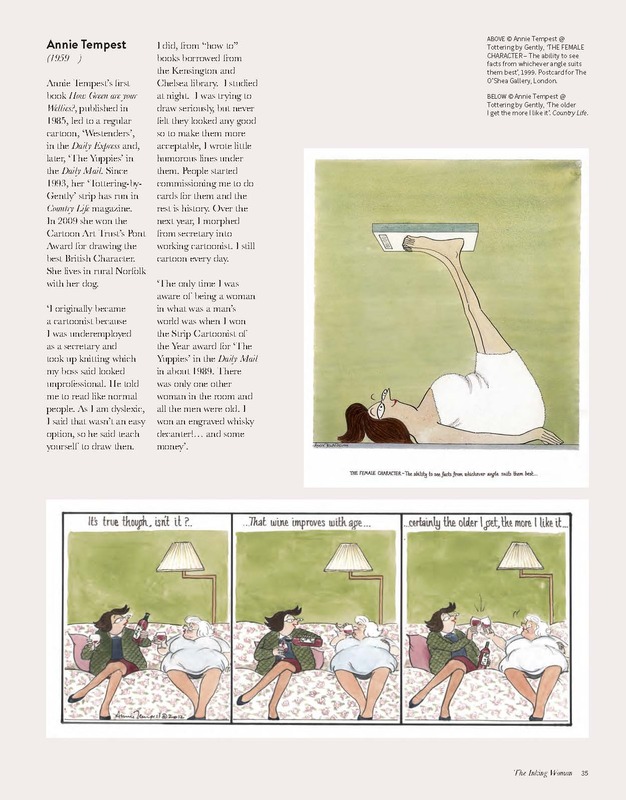 Comprehensive in its scope covering caricaturists, gag cartoonists, editorial and strip cartoonists, and comic creators, it’s a celebration of the wit, wisdom and talent of the female British cartoonist across 250 years. So many female creators are featured, each with a brief biography and accompanying artwork, meaning you only get a flavour of their work, but the presentation has context and makes many a compelling case for you to go away and discover more about any cartoonist that intrigues you. For me the most fascinating were the very early cartoonists, such as Mary Darly producing caricatures in the eighteenth century, selling her form of visual satire to the wealthy as prints. Then there’s Marie Duval (real name Isabella Emily Louisa Tessier) who, in the nineteenth century, produced cartoons for the cheap penny papers and early comics. But these two are just the tip of the iceberg in a book that’s full of creative cartoon talent. It’s a monumental achievement, particularly looking back to non-contemporary cartoonists, most of which will be unfamiliar to the average punter, and so a deserved doffing of the cap to Nicola Streeten and Cath Tate for pulling it altogether and allowing the names of so many important names in the industry to be acknowledged. If you missed the exhibition then buy the book and discover the magnificent contribution made by British women to the art form. And if you liked that: Myriad have just published an entire book on Victorian cartoonist Marie Duval. The world of cartoons and comics has long been regarded in many quarters as primarily a male preserve. But the reality is that women have been drawing and publishing cartoons for longer than most people realise: since the 1760s in fact, when Mary Darly illustrated, wrote and published the first book on caricature drawing published in England. From the 1920s, some women cartoonists began to appear regularly in newspapers, usually signing with their surnames to mask their gender. Fast forward to the past thirty years, where women have come increasingly to the fore, particularly in the field of graphic novels. This book celebrates the named work of over 100 British Artists, plus a few anonymous ones, and reveals a wealth of comic work spanning 250 years. Now that’s what we call a history lesson. IF THERE'S a volume missing from the annals of British humour, it certainly is the new book The Inking Woman. About time too, given that it’s been nine decades since women over the age of 21 won the right to vote. 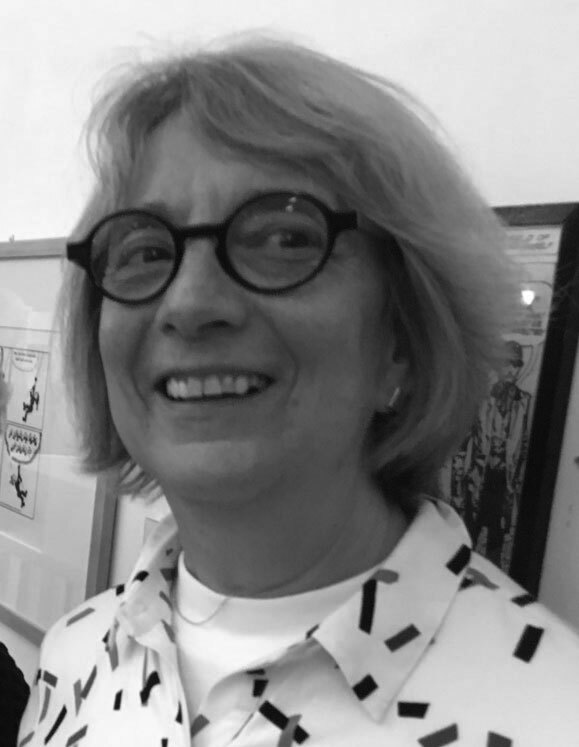 Its inspiration came from its authors Nicola Streeten and Cath Tate who organised an exhibition with the same title at the Cartoon Museum in London in 2016. The realisation that a celebratory anthology marking 250 years of women's cartooning should be put together was a natural progression. This compilation of single-panel gags and traditional strips are bundled together to provide a full appreciation of the abundance and variety of styles. Here is work from the daring Mary Darly of the 18th century and the pioneering Victorian Marie Duval through to Suffragettes Mary Lowndes, Louisa Thomson-Price and Dora Meeson Coates. And contemporary cartoonists such as Riana Duncan, Kathryn Lamb, Christine Roche, Paula Youens, Cath Jackson, Angela Martin, Grizelda and Lee Kennedy all get a look in. The index, running to well over 300 names, disabuses the perception that women cartoonists are few and far between and around a third of them are included in the book. Space and time constraints mean that some are absent because they were uncomfortable with gender-defined criteria or the selection process itself. The few newspaper editorial cartoons are by the Guardian’s Nicola Jennings, Bluelou — known to Morning Star readers and presently of Tribune — and Martha Richler of the Jewish Chronicle. Regrettably, the field is still dominated almost exclusively by white middle-aged men and that's something that has to change in the future. As Toni Morrison has pointed out: “All good art is political, there is none that isn’t,” and so, ultimately, are the works in Inking Woman — wide ranging and whimsical satires on social and human vagaries and everyday idiocies. The encyclopedic format has the benefit of each new page offering the unexpected and Marcia’s Mihotich’s delightful design has clarity and elegance. It's an instructive and hugely entertaining work — hats off to Nicola Streeten and Cath Tate. Hands up, who knew that Rupert the Bear was created by a woman? Okay, I see half a dozen of you there; and five of you are comicbook creators. Can you name her? Rupert the Bear was created by Mary Tourtel in 1920, and drawn by Tourtel for fifteen years. Originally Rupert was brown, but the Daily Express cut back on printing expenses, hence the iconic white fur. See? You will learn stuff. Oh, how you will learn stuff! It's embracing, engaging, lavishly illustrated, clearly and cleverly structured with a commendable sense of context. [The] placing of cartoonists and comickers into some historical context is evident right from the beginning, and I am pleased to say not just historical but cultural and societal context (for example, the rowing women’s lib movement of the 70s leading to more cooperatives creating publications, which in turn provides both material and a space for women comickers to show their work, those comic works feeding back into the growing social and commercial groups by women, aimed at women). 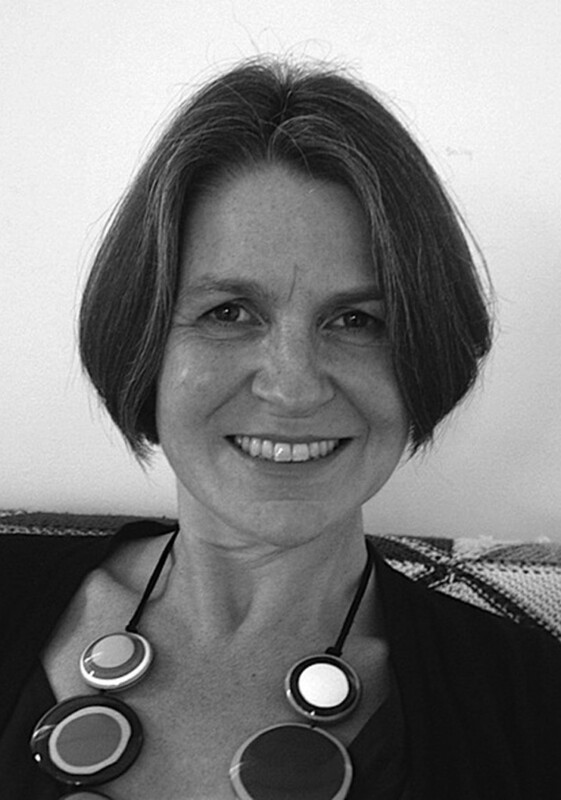 In her introduction co-editor Nicola Streeten mentions the likes of Jacky Fleming and Ros Aquith’s work that she read in her teens as powering her own ambitions in her comics work later on. I’d like to think that somewhere there is a teenage girl who will read Inking Woman and it will inspire her, to let her know she can create her own comics works too, and perhaps in a decade she’ll be citing Nicola and Cath’s work here as one of the starting points that got her going. This is a wonderfully warm look at an important part of British comics history, it is also a history of the challenges of gender, class and more and how they can be overcome, of how the medium is part of that society and that societal change as well as reflecting it, or sometimes even leading the vanguard demanding that change, placing those changes and the changes still to come into a larger context of pioneers and inspirational creators in turn inspiring new generations to realise they are free to create, to say something. 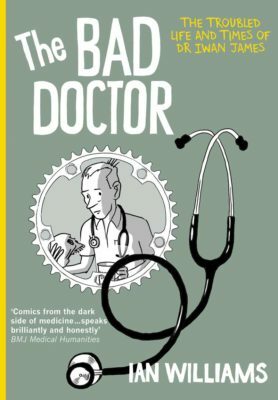 I think many readers will come away from this not just with a more informed perspective on the history of Brit comics, but with a list of creators whose work they really want to read. The Inking Woman is an essential and long overdue recognition of the role, influence and importance of the women creators who have been instrumental in the evolution and forward momentum of this art form in the UK… It’s difficult to imagine that there will be a more vitally important book on the medium than this one in 2018. Indispensable and obligatory, The Inking Woman an absolute triumph on every level.